How do I find historical newspaper articles? - Ask Us! Q. How do I find historical newspaper articles? 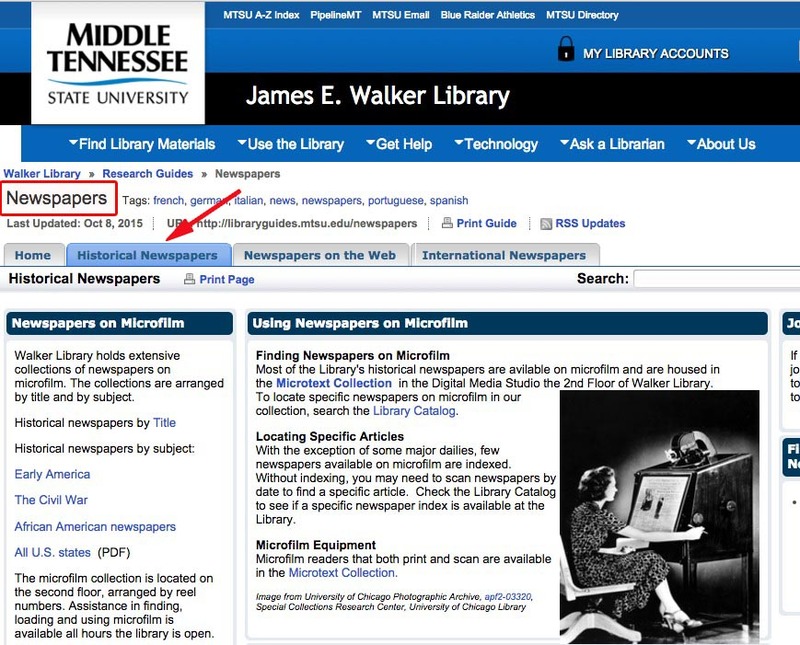 To find older articles from newspapers, including The New York Times, use our Newspapers guide from our Library Research Guides. Click on the Historical Newspapers tab towards the top. 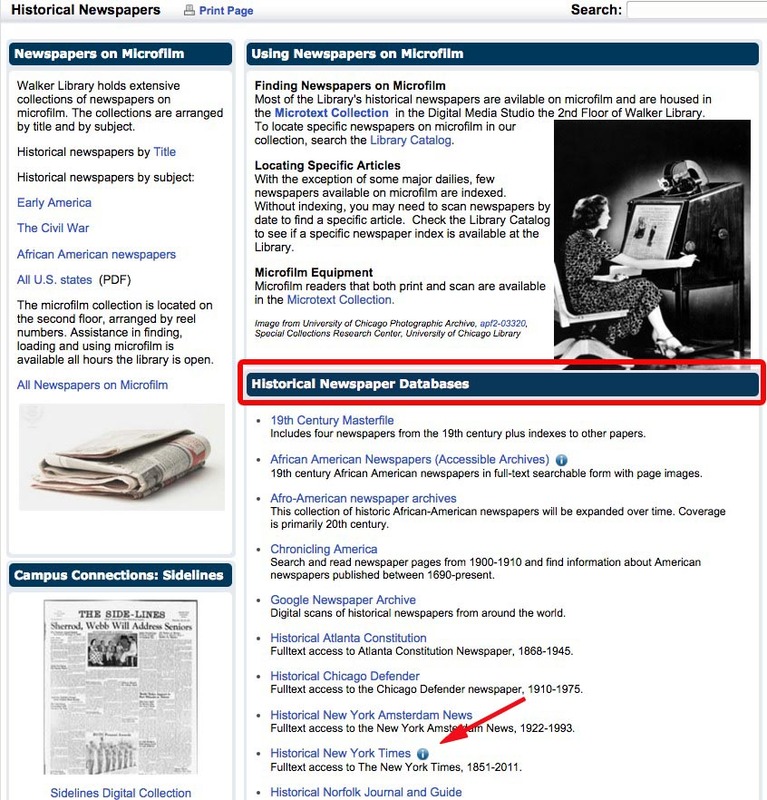 Locate Historical Newspaper Databases in the middle column. Click on a newspaper i.e. Historical New York Times. 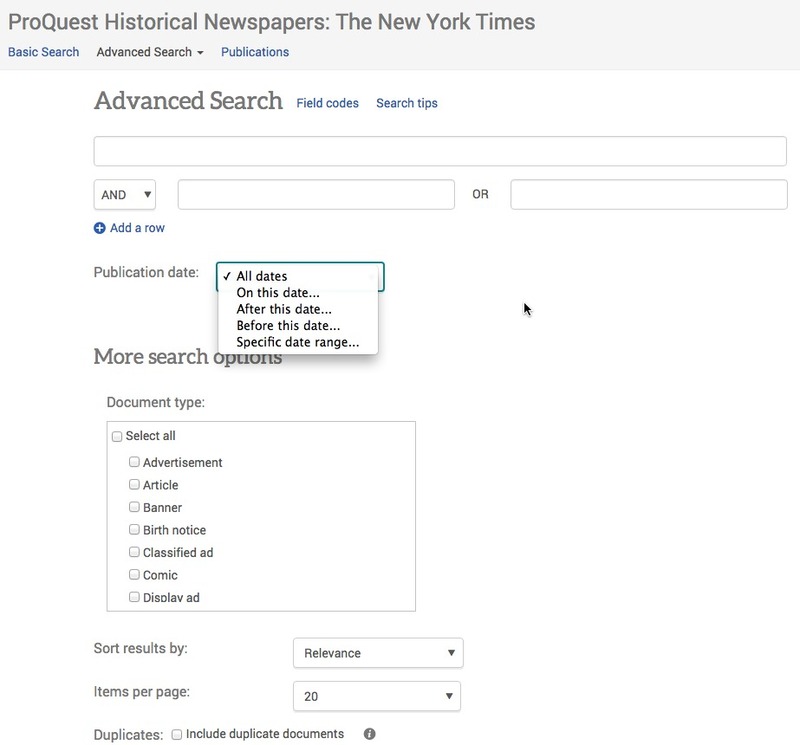 Enter the keywords, and limit by publication date, document type.